Stop overpaying for marketing month to month – trust in a proven method of growth. As one of the fastest-growing HubSpot agencies, we have mastered growth-driven marketing in conjunction with digital and social media advertising. We have foregone the practice of standing on a table with a megaphone and broadcasting messages to a wide audience. Growth-driven marketing is a proven method for meeting people where they are most interested. Time and time again, we've seen business drop agencies after 4-6 months due to seeing no physical results. Growth-driven marketers usually give a collective groan here, as we know that that it takes a few months to see the fruits of a growth-driven strategy. As a business, you have expectations that come with how an agency charges you. Sometimes a large monthly retainer can leave businesses with some big sticker shock. Enter: Growth-Driven Retainers – a collaborative method of billing that slowly ramps up and scales a business. New retainers are assessed every three months and historical company data is used to determine future growth. What is a Growth-Driven Retainer? GDR only requires a 3-month commitment on your part. A growth team from the agency sits down with you, figures out your specific needs, and comes up with a 12-month growth plan. 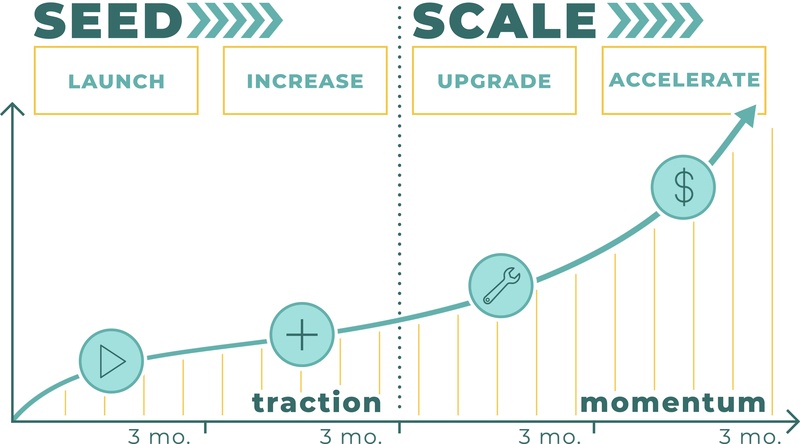 While retainers start at a minimum $1500 per month (bargain in the industry), the idea to have the option of scaling them up as your business continues to grow is revolutionary. Results are reported back to you monthly, and the focus is entirely on that: results. Every quarter, the growth team comes up with a plan for the following quarter based the previous quarter’s measured results, as well as plans for your future growth goals. Using the Growth-Driven Retainer model, you’re not on the hook for an outrageously large financial commitment right off the bat, and initially only agree to a 3-month Service Level Agreement (SLA). When the performance goals from the planning session are hit, you will have the confidence to move to the next level, gradually increasing the retainer and allowing you to grow your business to scale. To begin, we start with an exploratory conversation, to get to know you and learn about your sales goals are. We then gather the necessary benchmark data from you, to be able to serve as a baseline for comparison following Phase 1’s 3-month span. Finally, we establish our Key Performance Indicator (KPI) metrics, which will be used to see how effectively your growth objectives were met following Phase 1. You’ll have already been signed up and onboarded for the HubSpot free marketing and Customer Relations Management tool (CRM) prior to Phase 1 commencing, so there is no increased cost other than the initially retainer agreed upon. Exploratory conversation - An agency will spend critical time understanding the GPTCs of your business. GPCTs are Goals, Plans, Challenges, and Timing. Gathering Benchmark Data - The first three months are cruical for predicting long term growth. Benchmark data will be used to gather expectations on future performance. Establish Key Performance Indicators (KPIs) - Once you have a baseline for the expected customer growth and technology implementation timeline, agenceies will help your company better establish goals and the metrics that make those goals happen. 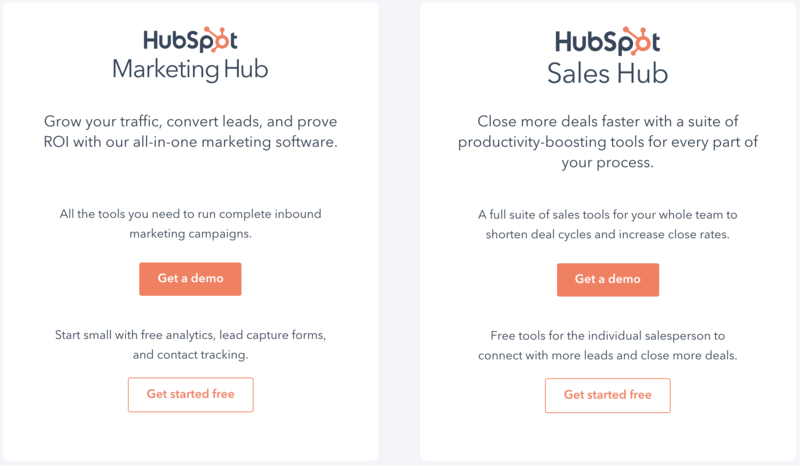 HubSpot - As your customers grow, you'll probably be upgrading your marketing automation, but for the first three months, try out HubSpot Marketing free to get your feet wet. If you are changing agencies or looking to work with one for the first time, there will always be a large transition in personnel, work hours, cost, technology, and more. There's no need to rush into the most expensive plans when you're trying to implement a new marketing plan. Sometimes, Inbound Marketing can take a while to start up. For the first 3 months of your GDR, Facebook Ads, Google AdWords, and strategic landing pages will extend the top of your funnel. Agencies will spend this time understanding your GPCTs (goals, plans, challenges, and timing) in order to create realistic KPIs and metrics for the future growth of your company. Begin adding some more marketing and sales enablement. If the process is working, you can slowly begin adding technology that improves the marketing and sales processes. Your agency will be with you every step of the way both coaching your sales team and analyzing the volume of business you are able to take in. You now have 6 months of data that shows how well your KPIs matched your ROI, and your agency knows exactly what it takes to help your business grow. As you continue this growth trajectory, it might be time to add in some more services. 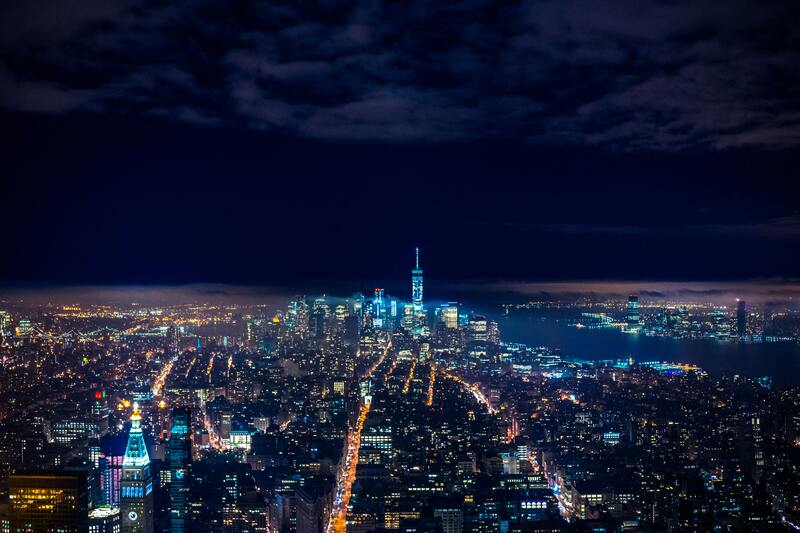 These services go beyond just the 'premium' version of your current marketing technology. Integrations for data analytics, conference calls and more will help you and your sales team turn around a profit in no time. Congrats on making it this far! You have followed and trusted the process, and your business is really ready to grow and scale. Now that there are specific, measurable marketing goals laid out before you, you might realize that you're paying for more than a standard retainer. Thanks okay – GDRs use a different process that will actually make you more money than you would have gotten under a standard retainer. The first part of Phase 2 is a retrospective one. We start with reexamining our initial exploratory conversation, and.. Check back in again 3 months later. Remember, we report results to you every month, so the results shouldn’t come as a huge surprise! Using a paid ad spend will help establish momentum early in the services delivery. The goal is to help you see value and get results even BEFORE inbound starts picking up momentum! GDRs are made to be able to be repeated as many times as needed. No matter the quarter, you have a chance to opt out. In the early months of a GDR, you probably have a small amount of email contacts and a small email list. You really only need HubSpot's Marketing Free (it's actually free). As you move further into the GDR process, you can upgrade. Phase 3 is the beginning of the growth phase, and halfway through the 12 month GDR roadmap. From this halfway point we begin to taper off the use of only sales services and begin to ramp up content production and Inbound marketing. Upgrading to HubSpot’s Sales Pro, as well as Marketing Pro is crucial at this point, as it helps us establish closing power early. HubSpot’s CRM tools can still be used for free! If Phase 1 and 2 happen to have blown your KPIs out of the water, you may want to consider upgrading to HubSpot’s Marketing Enterprise early, as it will be more suited to your needs than Pro. Ramp up content production and inbound marketing initiatives. Only if your industry/business requires a sales cycle! Using sales tools will help us to establish closing power early. The goal is to help your customer see value and get results in the first three months prior to your marketing efforts. If Phase 1 and Phase 2 happen to have blown your KPIs out of the water, you may want to consider upgrading to HubSpot’s Marketing Enterprise early if your business is scaling quickly. Communication is the most important pillar of a GDR. Agencies are telling you how they expect this marketing project to go, how GDRs work, and what the results will be. If you're new to Inbound Marketing, you should be educated on the ins and outs of the industry and come away with a good understanding of what to expect. You should also expect an agency to help you understand the relationship between your company and theirs, and build some benchmarks of how you can work together. If you reach a point of confusion or clarification, an agency should be willing an able to help you feel comfortable. An agency should be transparent about your investment and their time investment. This includes more than just monthly cost. You should know what technology you are investing in and how much time or results your agency expects to produce. Transparency includes successes, struggles, goal feasibility, and more. You are setting expectations early on of good communication, clear investments, and a sound roadmap for the future. As an agency sets up strong lines of communication and are clear about a marketing roadmap, investments, and future goals, a pattern of predictability emerges. Despite an ever-changing digital industry with new technology hitting the market every day, a true GDR process helps familiar patterns of growth and monthly spend emerge. Over time, your agency should prove that they are a true partner – or even an extension – of your business when they bring everything together. Over time, not only communication and transparency should become predictable, but future goals and expected results should too. A truly effective GDR process will have predictable sustainable growth for the foreseeable future. Phase 4 is the final Growth Driven Retainer phase, and can continue indefinitely to scale. If you’ve made it this far, it means you’ve seen positive results and growth every quarter. As you keep growing, your retainer will be adjusted on a quarterly basis (based on how MUCH growth) and quarterly growth will also be used as a benchmark for further investment. At this point it may be necessary to upgrade to HubSpot enterprise depending on your company size and industry, as it allows you to sync third party extensions that help you track, measure, and grow even more. Begin to integrate necessary 3rd party apps and services. As mentioned above, getting your website to the top of Google search results with Inbound Marketing might take a few months to become fully effective, so use some paid advertising with Google AdWords and Facebook Ads to bring in leads in the meantime. As the leads begin to trickle in from advertising, add in some more traditional inbound methodologies like blogging, social publishing and SEO. Develop solid email campaigns and workflows that keep your customers engaged and invested in what you're doing. Thanks for reading! We hope you have a greater understanding of how Growth-Driven Retainers work. We're so excited to see the new standard for business-agency relationships and look forward to seeing real growth in the small and medium business community. GDRs are new and will likely experience some bumps along the road, but we're committed to helping you avoid overpaying for an agency if at all possible. We've used a growth-driven retainer with Northeast Georgia Contracting and the results were amazing. Your business could be next! For the first time ever, marketers work with you to set the goals, metrics, and content that will grow your customers and scale your business in a manageable way. Come on and get started!